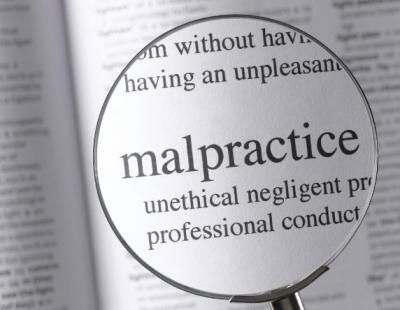 Medical malpractice is generally defined as that professional misconduct comprised of illegal,unethical,negligent or immoral conduct of a person in a professional position, resulting in the failure to fulfil the duties associated with that position. On the second week of April 2013, Funmi Lawal, a graduate of the Law Faculty, University of Lagos, died of cancer. According to reports dating back to the time Funmi was a student of the University of Lagos, she had been complaining about shoulder pains, and like any other health conscious individual, she consulted doctors who, negligently, did not diagnose her cancer but treated her for other ailments. However, a while after this, her shoulder pains developed into something more dangerous and sinister, before which time the doctors did not know that Funmi had cancer. It should be noted that, it was also reported that Gani Fawehinmi, who was a foremost human rights lawyer in Nigeria, was also a victim of Medical negligence in Nigeria. Reports claim that when Gani was sick and visited a Nigerian hospital, he was diagnosed with an ulcer, which he was being diligently treated for; however, when he went abroad, he was diagnosed with cancer, which then puts to question the medical trustworthiness of our medical doctors here in Nigeria. 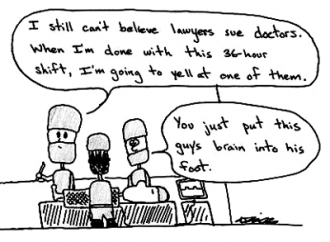 It is worthy of note that, the above mentioned medical malpractice victims are not the only ones who have had the misfortune of being negligently advised or diagnosed with the wrong illness. A friend of mine once told me that a woman once gave testimony in church about the near abortion of her pregnancy. According to the woman, she went to her doctor and made complaints of abdominal pains, and the doctor wrote her a prescription, which she took to the pharmacist, thinking these drugs were pain killers; luckily for her, the pharmacist asked her to her dismay “do you want to abort your pregnancy?” When she answered in the negative, the pharmacist explained to her that the drugs would have aborted her pregnancy if she had taken them. But she did not believe this and sought a second and a third opinion, and the other pharmacists told her what the first pharmacist had told her, that the drugs prescribed for her would abort her pregnancy. My point here is this, the Nigerian medical terrain is a risky one. In Nigeria, we don’t even know who is who, we don’t know which Medical hospital is real or is a sham; we just know there are hospitals and when we are in a dire medical situation, we rely wholly on them. Also, there is no framework to protect people from medical malpractice, challenge a doctor who has dabbled in medical malpractice, or make sure that such doctors are not exposed to innocent citizens in future. Although it is not a contested fact that the Nigerian health sector is not the best in the world, this does not mean the government and the Nigerian Medical Association cannot help create a framework that will help check any medical malpractice activities of medical doctors practicing within Nigeria, hence creating a safer and sterile medical environment. Injury solicitors can help you on your medical negligence compensation. They can assist you and help you win your case. Thanks for sharing i would like to add about medical legal services.The most important thing in medical legal services is that they will work independently to evaluate the claims efficiency of treatment and time frames are addressed properly.according to patient and doctor vies and action expert take the decision.